Written by Temecula Tire & Auto Repair on November 9, 2017 . Posted in Blog. Imagine being stuck in a traffic jam in the middle of a blazing hot day. You switch on the AC, while moving along at a snail’s pace in the heavy traffic. Then suddenly and (seemingly inexplicably), the vehicle’s temperature gauge starts showing that the car is overheating. You switch off your AC, but that doesn’t help anything. Eventually the engine starts gushing smoke from under the hood and you break down completely on the side of the road. It’s a blown radiator. This possibly could’ve been avoided had you taken proper care of your radiator and related cooling system components, such as cooling hoses. Almost all vehicle engines today are liquid-cooled and, as such, are equipped with radiators and radiator fans that ensure that the temperature of the circulating coolant remains at an optimum level and does not increase to dangerous levels that can potentially harm the engine. This is why the radiator is one of the most important components of modern cars today. If anything goes wrong with it, the engine’s cooling system is heavily disrupted and the temperature of the engine will increase enough to potentially sustain severe damage and, of course, leave you stranded. Even if the engine does not seize completely, the constantly high temperature inside can mean that the engine’s performance will steadily erode over time as it sustains internal damage due to operating at very high temperatures. As with all mechanical components, a radiator is subject to erosion and deterioration over time, which can lead to its failure. The good news is there are almost always telltale signs and identifiable symptoms before actual radiator failure. Apart from the obvious sign of the temperature gauge needle being above the norm, there are also signs of cracking in the radiator body and maybe some mild seeping of coolant. The key is prevention and early detection. That is why it is important to have your cooling system periodically inspected. We recommend an inspection every six months. After years of use and due to the high temperature liquids being circulated, many radiators are prone to cracking and other deterioration that manifests in coolant leaks and, sometimes, even severe leaks. When the coolant leak is negligible, our experts can detect it through a pressure test. Sometimes you’ll be able to smell a slightly sweet odor after parking your car, which indicates a small cooling system leak. Many do-it-yourselfers tend to use ordinary tap water as an alternative to coolant when topping off the radiator. This leads to the radiator becoming rusty inside. The rust particles end up contaminating not just the original coolant but also the engine and other system components as well, since the rust particles are circulated through the system with the coolant. During our inspection of your cooling system, we will look for signs of rust and corrosion, as well as test the coolant quality to make sure it does not contain an excessive amount of ordinary water or other contaminants. If impurities, corrosion, and rust is not routinely flushed out of the radiator and cooling system, premature deterioration of the radiator or other cooling system components may occur. Furthermore, if there is slight seepage of coolant, there will be less fluid circulating through the engine and cooling system, thereby leading to the engine operating at increasingly higher temperatures. This is why it is absolutely imperative to make sure that your radiator and cooling system as a whole is in optimal working condition to ensure the longevity of your vehicle’s engine. Call us today or click here to make your appointment online for a cooling system evaluation and report. Written by Temecula Tire & Auto Repair on October 28, 2017 . Posted in Blog. 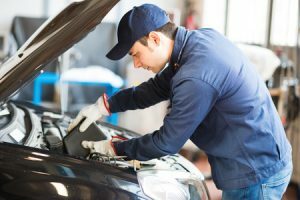 Many people wonder about the difference between these often-repeated phases that they may hear in different auto repair shops, that is synthetic oils versus conventional oils and their utility for your vehicle, specifically, when it comes to the overall cost to performance ratio between the two. The point to be noted here is, both synthetic motor oils and conventional motor oils actually do begin their lives in the ground. 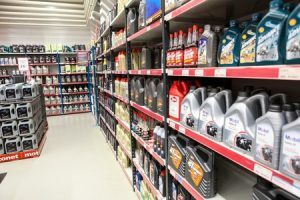 Let us explore the differences between these two types of engine oils and see if the extra cost you’ll incur is really worth the higher price tag. This is a form of engine lubricant that is derived directly from different types of crude oil. As a general rule, it does offer really good engine life enhancing properties that allow it to provide high levels of lubrication, even at the high temperatures on which today’s high powered automobile engines operate. Furthermore, it is also able to maintain its overall stability over extended periods of time. Incidentally, all types and brands of synthetic motor oils actually do begin their lives as some form of conventional oil. This conventional oil is subjected to further modifications and refinements so that its lubricating and protective properties are greatly enhanced. Synthetic motor oils have many different purposes, but as a rule they are able to outperform most conventional motor oils in various aspects. Some of them are specifically designed to increase the overall performance and also the life of vehicles that are driven a lot, such as high mileage cars. Other synthetic motor oils, on the other hand, are specifically meant for very high performance engines. These days, there is a wide variety of synthetic oil based engine lubricants that actually have been infused with the innate ability to increase your vehicle’s fuel mileage average by using highly specialized and advanced lubricating agents. The choices in motor oils are plenty. We suggest following your vehicle manufacturer’s recommendations for engine oil. Synthetic oils, as a general rule, tend to be more resistant to breaking down, when the engine is used on a more or less regular basis. This means that they do not need to be changed at frequent intervals, like their conventional oil counterparts do. The thing about conventional oils is that, as they break down under the stress of regular usage, they tend to leave deposits behind on various engine components, very much like cooking oil deposits in a frying pan. Synthetic oil does not stick to pistons, rods, bearings, and other parts, but on the contrary, they also have the ability to actually remove such deposits thereby ensuring that the life and performance of your engine is greatly enhanced. In the light of the above, we can conclude that when we compare the two, syntactic motor oils are better for your engine than conventional motor oils. Click here to set an appointment for your synthetic oil & filter change.